Have a question for Agta Beach Resort? "Overall, I will definitely stay here again when I come back to Biliran." "Staff were accommodating and spoke enough English to communicate with English speaking tourists." "The pool is large and the water is lukewarm fit for swimming..."
Renovated in 2012, the Agta Beach Resort guarantees guests a pleasant stay whether in Almeria for business or pleasure. Only 18 km from the city center, the hotel's strategic location ensures that guests can quickly and easily reach many local points of interest. With its convenient location, the hotel offers easy access to the city's must-see destinations. 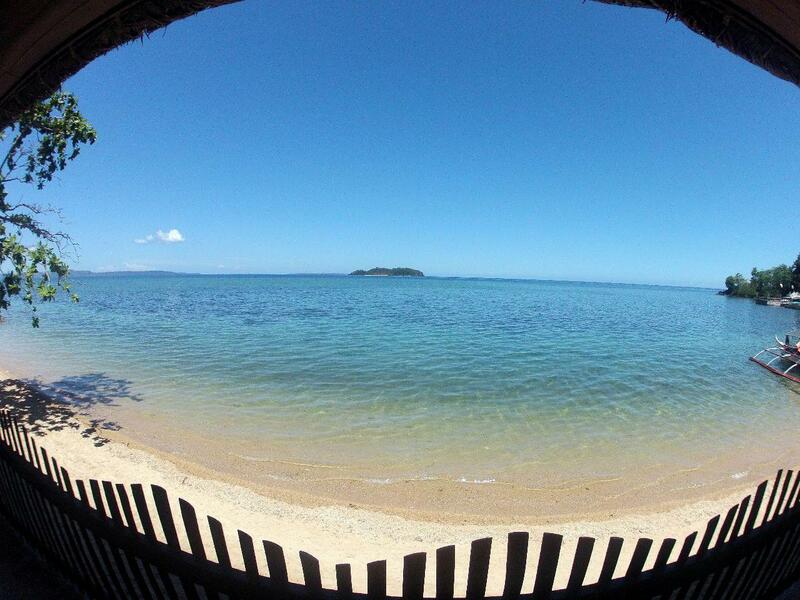 Agta Beach Resort offers impeccable service and all the essential amenities to invigorate travelers. 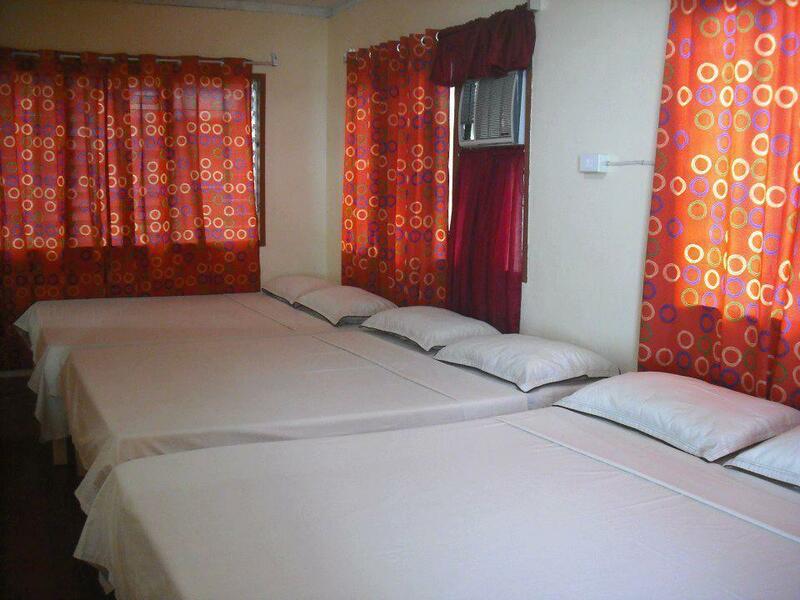 Top features of the hotel include luggage storage, car park, room service, airport transfer, babysitting. The hotel features 10 beautifully appointed guest rooms, many of which include mirror, towels, separate living room, non smoking rooms, air conditioning. The hotel's recreational facilities, which include private beach, diving, fishing, massage, garden are designed for escape and relaxation. Enjoy unparalleled services and a truly prestigious address at the Agta Beach Resort. Good for diving. Useless for anything else. Dirty beach crap menu and useless attitude. Asked that a guy (local) who was in the swimming pool with a large bottle of beer and glass to take it away from the pool area looked at me as though l was mad. The place is usually crowded during holidays and weekends. Food was cheap. Pool was clean. Cost of our stay was cheap. The place is not good for people who wants to go to Sabawan Island. It is like an hour away from the island and the resort will give you a very expensive price for the boat ride going there. The owner did not talk to us when we complained regarding the night swimming. Imagine we paid for days stay and the kids aren't allowed to swim in the pool since its 6pm and because don't want to turn on the lights and wants us to pay 2000 pesos additional just for the light to be turned on. We cannot even use the TV since they've cut the lines in our rooms and its part of what we paid for. when we asked to talk to the manager/owner the person did not show up and keeps on giving excuses. Good thing we were not in the mood to make a big fuss about it and let it pass since my bestfriend and I does not want to ruin our vacation. We were able to go to Samabawan island by the way, using and paying a boat from the outside of the resort even if it was not allowed since we have connections to help us out they did not say anything. P.s their staff was great though. Coming back to the Agta Beach resort made me smile, I’d been here 3 years ago and was looking forward to being back in the Province. Again it hasn’t let me down. We’d booked a couple of months ago and finally landed after a 3 day flight trek from the UK to Tacloban then car to the Agta. We were welcomed and shown to our rooms, exactly the same as previous except a different colour, clean, spacious and great A/C The area is clean, the staff very friendly and the food in the bat was brilliant. The menu is limited but it’s what you’d expect, Lechon Manok, Adobo and more and all very reasonably priced, 1L bottles of San Mig only 100 Peso. I’d booked 4 nights but turned this into 10 nights as I love the place so much. Lots of things to do, boat hire, swimming pool, restaurant / bar and of course it’s on the beach so 2 seconds from the sea. There had been an earthquake about 3 weeks ago and we had sporadic power cuts, they gave us lamps and it didn’t cause any upset, again everyone is so friendly. Internet is a tad slow but workable and the only downside I would say are the dogs, there’s a few of them and can be quite noisy at night. Thanks to all the staff at the Agta, we’ll be back. 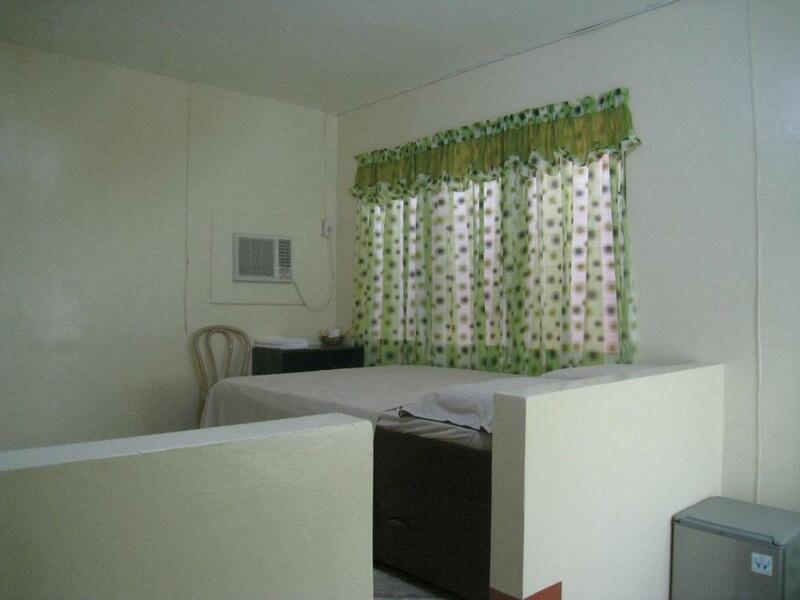 The hotel is located in the center town of Almeria which made it a good base to explore Biliran. Boat tours are offered to guests for Dalutan and Capiñahan as well as Sambawan and Higatangan islands. There is a restaurant in the resort which offers breakfast and meals at a not so expensive prices. We stayed at the Scuba Room 1 which is one of the two rooms in the Garden Pool Villa, and which is highly recommended for families and groups. The rooms are quite spacious and the villa has two doors leading to the pool side and the beach side. There is no TV but the toilet is spacious as well. The pool is large and the water is lukewarm fit for swimming, with separate kiddie pools. The staff Jaymar is very accommodating and bothered to offer us the Scuba room in lieu of the family rooms that we originally booked which turned out to be a lot better. Another female staff even offered to buy us pandesal outside the resort. Overall, I will definitely stay here again when I come back to Biliran. The food is great! People are hospitable! Thanks agta! Offers MUCH but doesn't deliver. Could describe our experience but one word is sufficient..SIMPLY AWFUL. Much cheaper and tourist friendly options down the beach.This place needs to look at valuing it's customers ....Stay here if u are desperate only. Great location. resort can easily arrange boat going sambawan , tincasan or Dalutan island. warm staff, very helpful. Beautiful view of the sunset from the resort. Group of 3 volunteers from tacloban. Very disappointed by unhelpful staff. The website said there was scuba diving and kayaking but when we enquired about at the hotel they said they didn't do that and their only solution was a vague wave and "there might be a small boat you can hire down there". Luckily the hotel (talahid beach resort) just down the beach included is in their island hopping trip and gave us a trip up to a waterfall! Resort rooms were basic but comfortable. Slight problem with ants. I had to ask for another room on arrival because my allocated room had a few. Staff were accommodating and spoke enough English to communicate with English speaking tourists. The views at sunset were amazing. One problem I found extremely annoying, was the kareoke from the resort next door. It was blaring from 10 am to 10 pm, every day of my stay. It really ditracted from the setting of Agta Beach. If Karaoke is your thing then this is the place for you. If you aren't I suggest taking another option. Which is no fault of the Agta Beach Resort. The VRC Resort next door was my issue. The resort is just along the beach but the resort needs improvements. From staff to rooms. I personally changed my beddings because the staff told me they are very busy and no time. No tissues, no shampoo and others stuff as mentioned included in our stay. A paradise in paradise. the management couldn't do any more for us they were just brilliant. Even after 2 Typhoons the place was just how I imagined it to be. I stopped there for 2 nights then a monsoon came over so we headed to the girl friends parents because of the possibility of landslides but I will be back as soon as I can. island hopping to sablayan.hotel propre. Apres avoir lu les commentaires j ai reserver via agoda...mais a notre arrivés le staff n etait pas au courant de notre venu....niveau restauration c est la premiere fois que je suis decu aux philippines ....peu de choix et le petit dejeuner inclus pas de choix non plus de plus pour manger le soir besoin de payer un taxe "overtime"....et le staff tres peu present et pas de plonger possible.....bref je ne le recommande pas..
Moskito's in the room were more than humans. They need to be terminated first. Then there is trash on the beach and no trash cans. Welcome to the Philippines. With a little effort this can be a star resort. It;s already not bad.